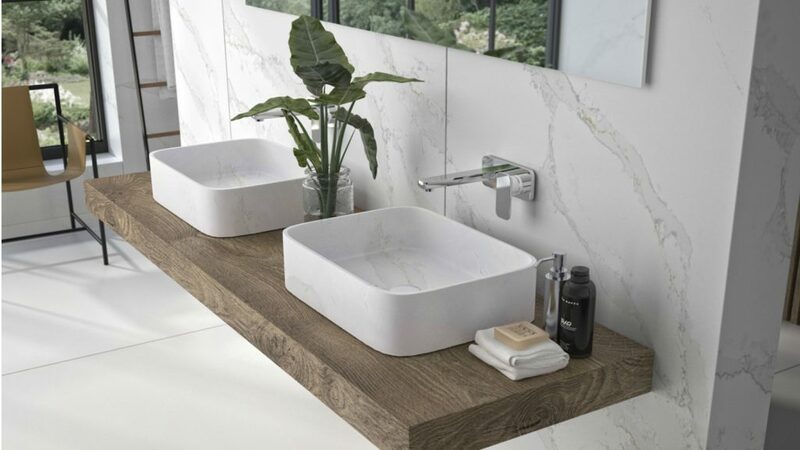 Quartz surface brand Silestone by Cosentino has introduced the Marie countertop wash basin. Measuring 510 x 370 x 100mm, the Marie is made from a single piece of Silestone, so there are no visible joints. The Marie washbasin comes in three colours: Blanco Zeus, Calacatta Gold and Tigris Sand. Cosentino has recently re-opened its headquarters in the UK following a refurbishment.